Congratulations to owner Andrew Lee and his staff at Sirens Boat Works in Merrickville, Ontario. 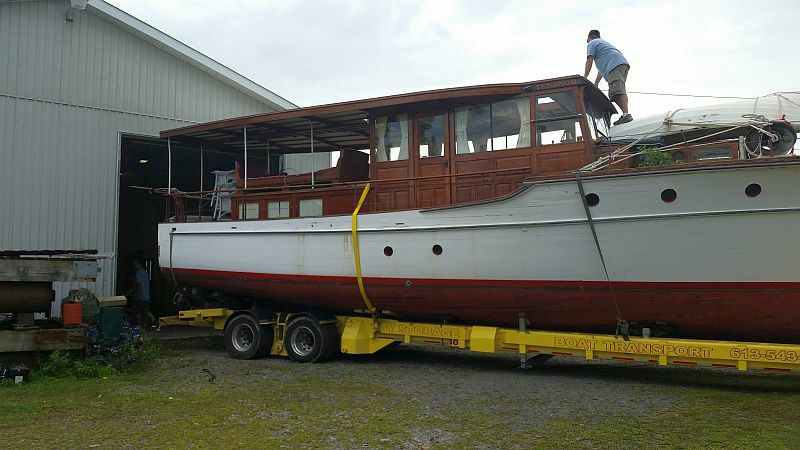 This company was off our radar until a recent tip alerted us to yet another quality boat restorer. The great variety of boats in the shop speaks to Sirens’ capabilities; everything from a huge Elco cruiser to a Peterborough sponson canoe. We dropped the keel on the Elco, then we started scarfing in our new sections of frames. We are using a cold molded method for the frames from white oak. Engine room aft are all new full length frames and floor timbers. We chose to do a mahogany lamination for our new keel. 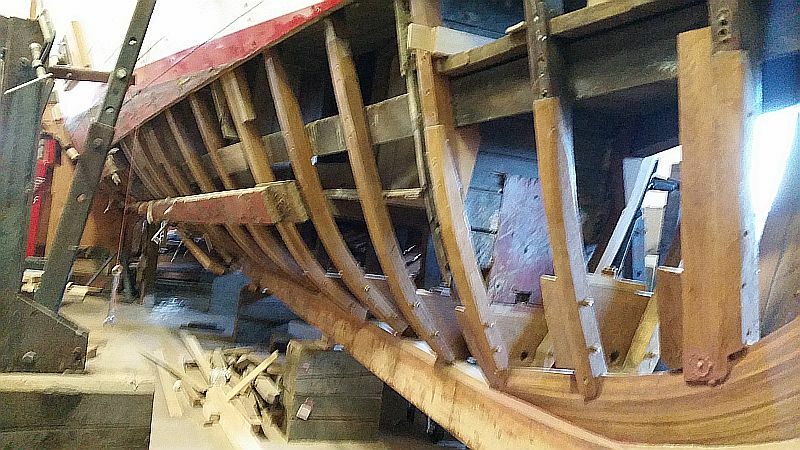 We are a team of builders and finishers who all share a passion for the craft of wooden boat restoration. I (Andrew Lee) started Sirens Boatworks 10 years ago in Montreal Quebec. I was a one man shop in a 600 sq. ft garage. I was being fed work by a Chris Craft collector out of New Hampshire for several years. In 2013 I was contacted by Steve Flewitt of Aylings Marina in Merrickville. 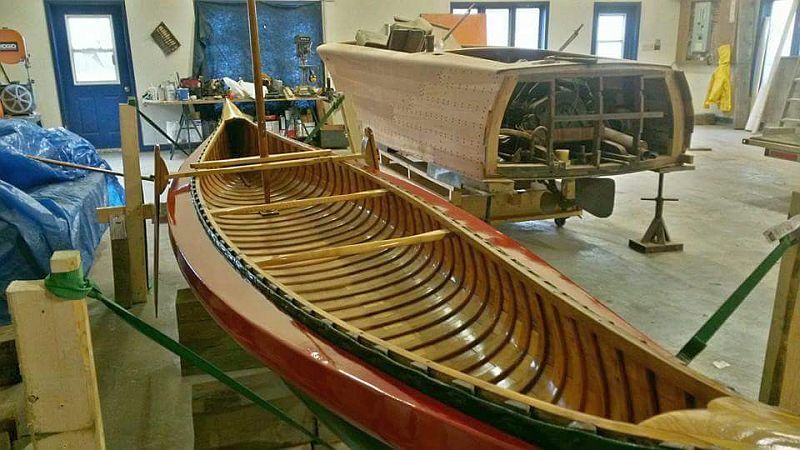 They were looking to have a restoration expert on site to service and repair the many wooden boats he stores at his boatyard. I fell in love with Merrickville, quickly made the move and rented out a 2400 sq. ft. shop just down the road from Aylings. 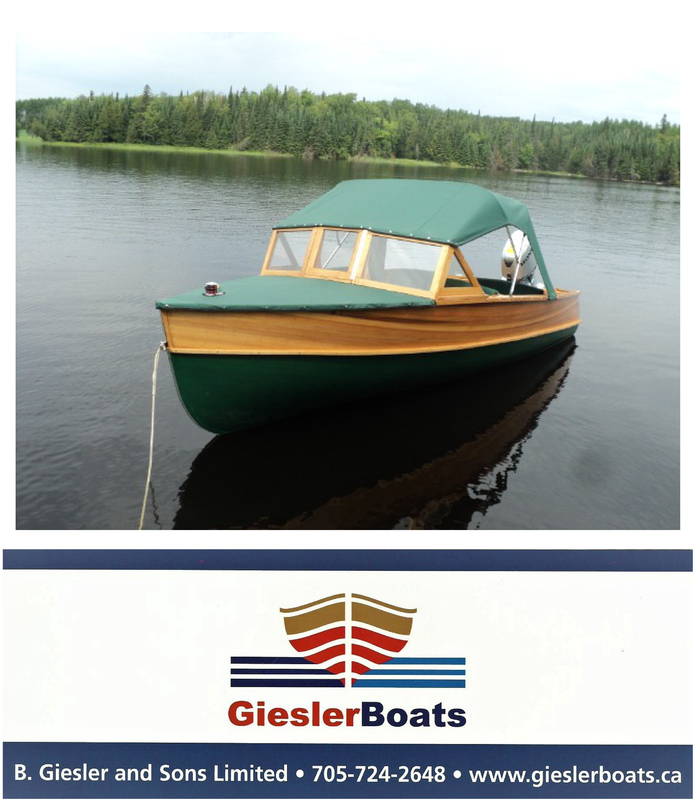 I have since brought on qualified team members who all share the passion for wooden boat restoration. James Lee: My father has been working with me off and on for the past 10 years. He has Boatbuilding in his heritage and is a natural when it comes to quality craftsmanship and truly understanding wooden boats. Shawn Neeson: Shawn has been working with me for the past three years, He has a strong background in refinishing and is my right hand man, He also takes care of all accounting duties. Alexis Nimis: Alexis has been working with me for the past 3 years, She has a strong background in finishing. She is extremely detail oriented, understands wood, and is able to create flawless finishes. Myself (Andrew Lee) : I am a trained cabinet maker who has dedicated the past 10 years to all aspects of wooden boat restoration. 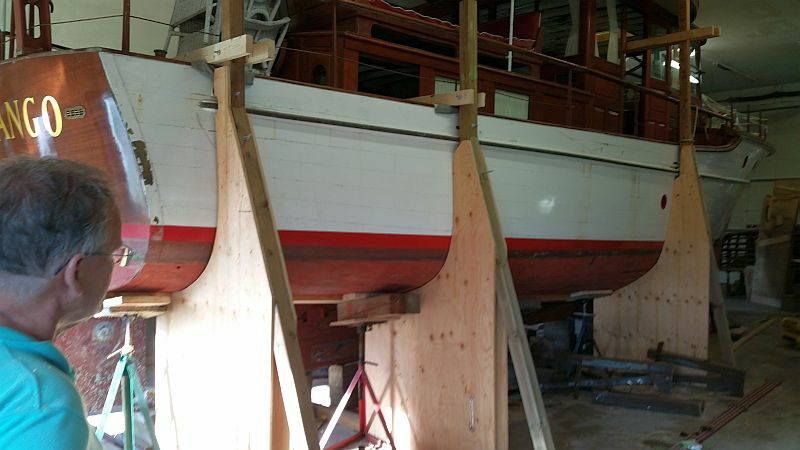 At our newest location in Merrickville we are able to work on boats up to 60ft in length. With a U lift on site its easy to lift boats right out of the Rideau Canal and put them in the shop for work.